Dear EarthTalk: What is the “National Food Policy” that environmentalists and foodies are asking President Obama to enact by Executive Order, and how would it affect American diets? 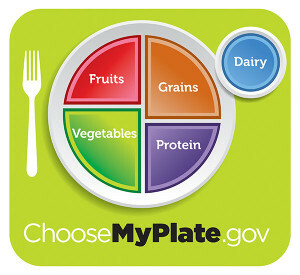 Existing federal guidelines for the U.S. diet, known as MyPlate, recommend that half the food we eat should be fruits and vegetables, yet these foods are granted less than one percent of farm subsidies. A November 2014 op-ed piece in The Washington Post entitled “How a National Food Policy Could Save Millions of American Lives” makes the case for President Obama to sign into law an executive order establishing a national food policy for managing the nation’s food system as a whole. Authored by food writers Mark Bittman and Michael Pollan, along with Union of Concerned Scientists’ Ricardo Salvador and United Nations Special Rapporteur on the Right to Food, Olivier De Schutter, the op-ed states that because of unhealthy diets, a third of our kids will develop Type 2 diabetes—a preventable disease that was formerly rare in children. While the White House has not responded in any way to the suggestion thus far, the article’s message that the current food system has caused “incalculable damage” remains alarming. Whether or not to pass our own tax on junk food and soda in the U.S. has been the subject of much debate in recent years. Some say it’s deceitful to suggest that a tax on sodas is necessary to curb obesity and Type 2 diabetes when numerous other unhealthy options like sugary caffeinated beverages, candy, ice cream, fast food and video games that promote sedentary behavior would still be widely available. A 2009 study published in the Journal of Public Economics suggests that soft drink taxation leads to a moderate reduction in soft drink consumption by children and adolescents; however “this reduction in soda consumption is completely offset by increases in consumption of other high-calorie drinks.” Furthermore, in 2010, former New York City mayor Michael Bloomberg stated that “an extra 12 cents on a can of soda would raise nearly $1 billion,” which suggests that government officials expect people to continue buying soda despite the tax. (Family Features) The daily routine of packing foods for lunchtime may seem boring, but the food inside those lunchboxes doesn’t have to be. 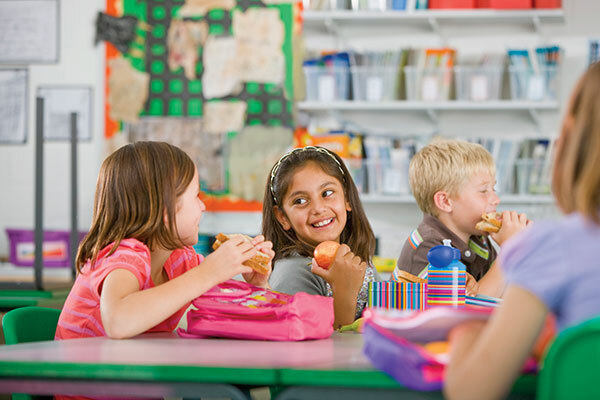 Consider your students’ personality when planning school lunches. Whether the cafeteria-bound container features Hello Kitty or Justin Bieber, the foods inside should be customized to fit age, activity level and personal style. So how do you get beyond the usual carrots and celery sticks? Noted nutrition expert, award winning food journalist and television personality, Carolyn O’Neil, MS RD LD, advises parents to think about the personality of each child when assembling lunch. Overwhelmed little students may do best with tiny bites of finger foods. So, if you have a shy first grader, send them with string cheese sticks, whole grain crackers, baby carrots and cut-up fruit. Cucumber wheels, red or orange bell pepper strips, and sugar snap peas are also colorful and nutritious finger foods. Add low-fat ranch dressing or individual packs of fiber- and protein-rich hummus for dipping. The oil in these dips actually helps kids absorb more of the veggie’s fat-soluble vitamins, such as vitamin A. What about the teens and tweens focused on anything but the lunch at lunchtime? Older kids focused on friends might prefer a sandwich and a bunch of grapes. Hungry athletes need larger servings of healthy foods for lunch, such as an extra slice of turkey on a sandwich and whole grain tortilla chips with an individual pack of salsa. These energy-burning kids may also need two cartons of cold milk for hydration and nutrition. For after school, pack a snack to keep your sports star energized. They can refuel before sports practice with fresh fruit or the extra protein in a granola bar with peanuts or other nuts. No matter what’s on the menu for your students, follow the USDA MyPlate nutrition icon. 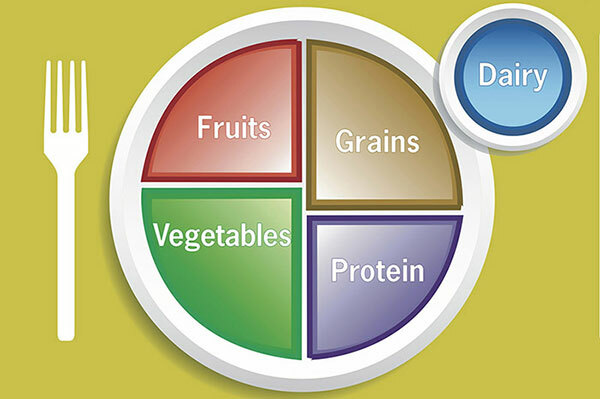 This visual for good nutrition indicates half of a healthy plate be filled with fruit and vegetables, with the two other quarters occupied by a lean protein and a whole grain starch. To complete the meal, add a cup of fat free or low fat milk. 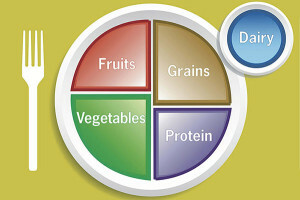 Look for food safety tips and after school snack ideas at www.BestFoodFacts.org.